Ashok Kumar was always fascinated with boats. It is not surprising that he now owns a flourishing boat building business in Lautoka. “Having a career was important to me, financial difficulties had denied me the opportunity to go to university soon after high school,” Mr Kumar said. “I wanted to be my own boss and lady luck was on my side,” he said. His dream became a reality when his late father-in-law offered to be his partner in setting up of the Lal’s Boat Building Company Limited 25 years ago. Lautoka born director Kumar’s business is now steadily growing since its inception in 1992. The father of three said the Lautoka-based company was a major contributor to the shipping industry in Fiji. “My late father-in-law’s interest was boat building and he made his first half cabin marine plywood boat back in 1979,” Mr Kumar said. “This is resulted in the establishment of Fiji’s first marine plywood boat and fibre-glass products manufacturing company the same year,” the 53-year-old said. “Growing up in Lautoka, I had to work in the sugar cane fields to assist my parents in looking after my two younger siblings. “My passion for boats started while I was a little boy growing up in Lautoka. I clearly remember how I used to draw boats and used or imagine coconut husks as speed boats. His fantasy on boats saw him fishing when he was not working in the cane fields. He said his father-in-law inspired him to do his utmost best. “As a fellow entrepreneur, as an adviser and as a father figure, he influenced many of my life choices by his example and reminded me of the importance of staying true to deeply held values along the way,” he said. “This may sound abstract, but my biggest role model is the USA. Each time I need inspiration, I remember that the United States is a nation where anyone can become anything he or she desires. There isn’t a mandate to do things a certain way. If you want to start any business or become something you’ve always dreamed of, this nation’s history has proved that it is possible. 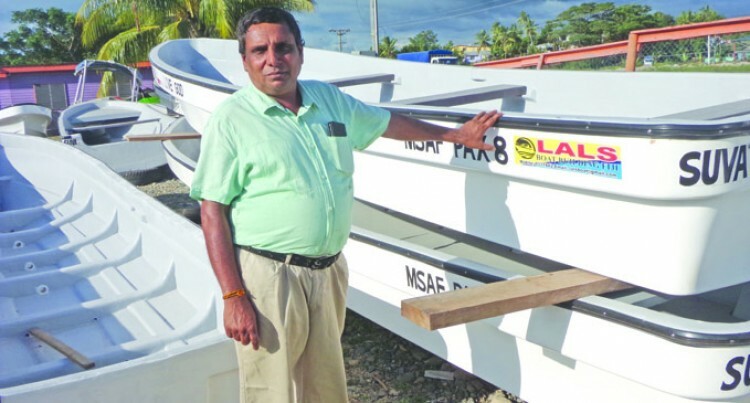 The family locally owned boat manufacturing company – Lal’s Boat Building Company Limited is flourishing in Lautoka, supplying clients in various parts of Fiji with top range products. The company employs 10 people most of them have been with the company since its inception. Given the staff members’ high level of experience; their commitment in providing high level service and flexibility has assisted in the company’s ability to retain its clients’ confidence and trust. The company also has rigorous Occupational Health and Safety (OHS), quality and environmental policies and procedures with in an environment of continuous improvement. “An advice to aspiring entrepreneurs is to always take heed of words of wisdom from our elders and make use of opportunities that come our way,” he said.